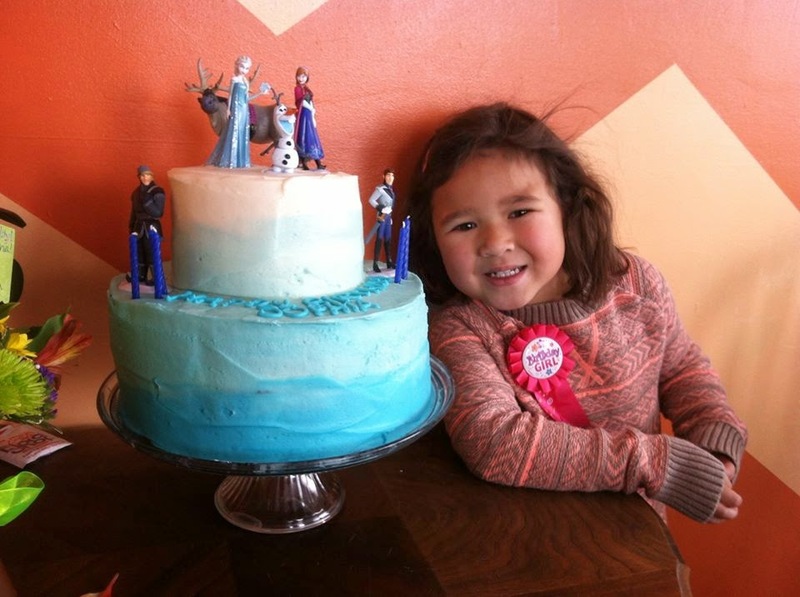 My daughter recently turned five (the end of January) and of course she wanted to have a Frozen themed birthday. The movie hadn't been released on DVD yet, just yesterday, actually (we had to go get it first thing in the morning and she proceeded to watch it 7 times yesterday and once again this morning), so we focused on having things be blue in color. 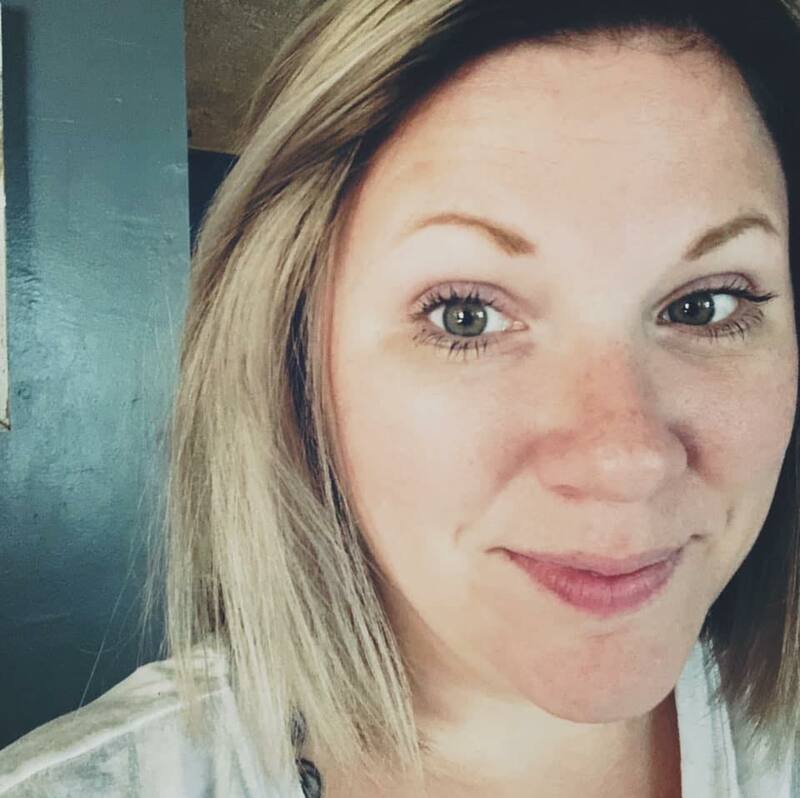 January birthdays just aren't as fun as summer birthdays. It is always cold, snow on the ground, gloomy out...just not too fun. 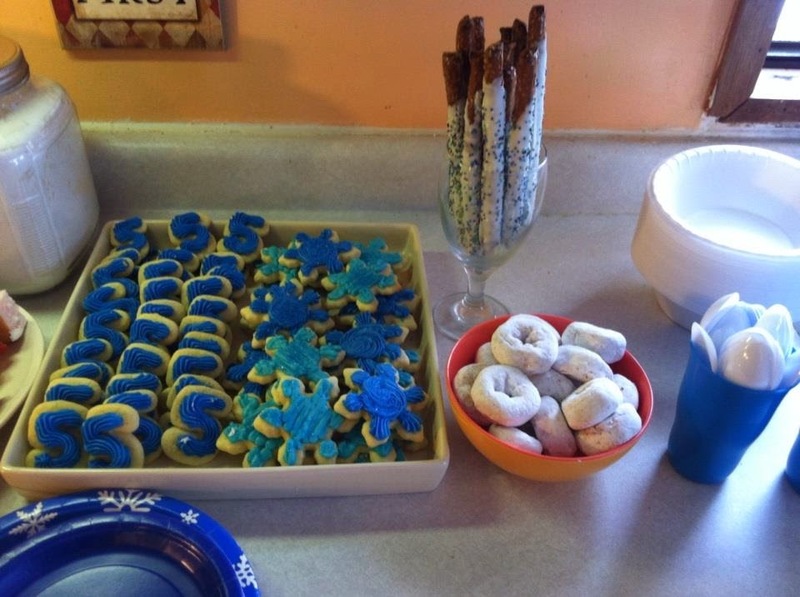 So we decided to have a hot cocoa and finger foods party. It was a big success! The lemonade we made was a hit and super simple to make, so I decided to share it! I like to make simple punch. I mean, like two-ingredient punches. 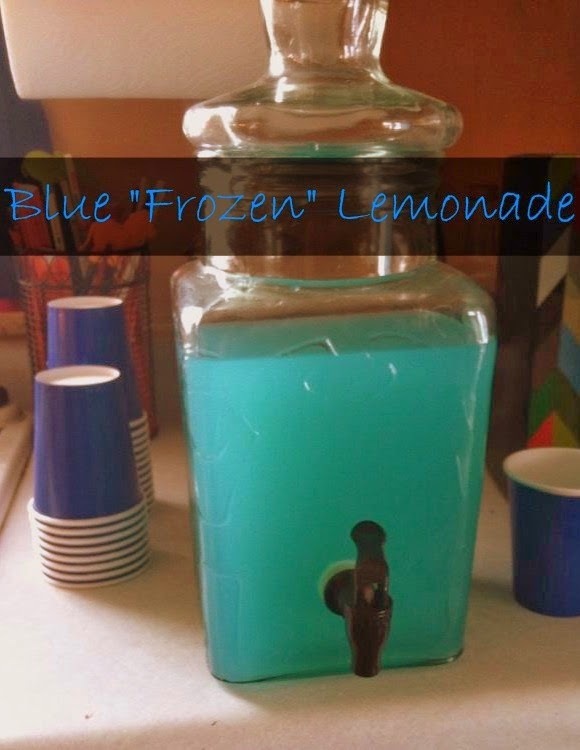 When I was trying to think of a blue drink, the only thing I could come up with is blue Hawaiian Punch. I'm not really a huge Hawaiian Punch fan, so I decided to try adding it to lemonade. Success. Serious success. It was so tasty! 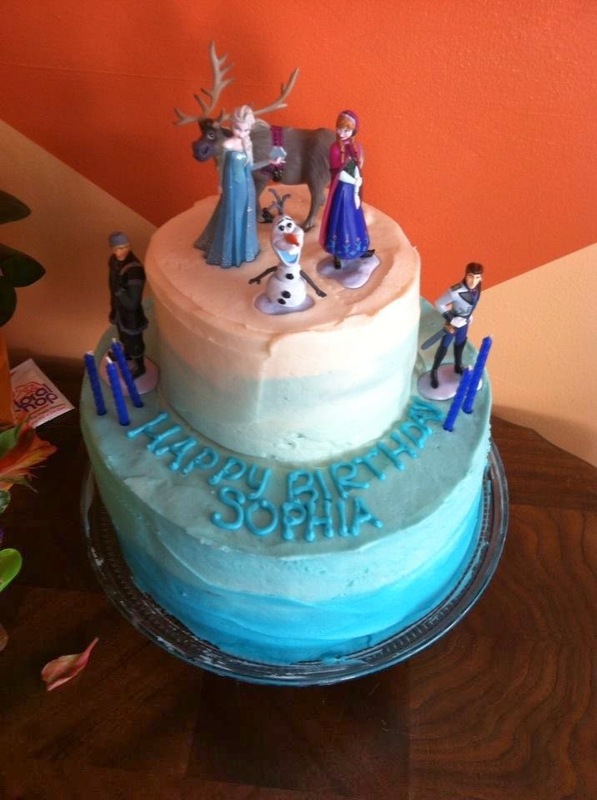 Everyone loved it and it was the perfect color to please my daughter's obsession with Elsa and her blue ice dress. My drink server wasn't big enough to hold all the liquid at once. So I did half of this recipe two times, when it was almost gone I just added the rest. I made the lemonade up and kept it chilled in the fridge so it was chilled when I made it. In a large punch bowl or drink server, prepare lemonade as directed. Pour in the jug of Hawaiian Punch in with lemonade.